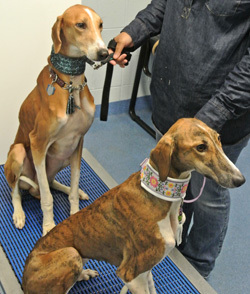 Two Azawakhs, West African sighthounds, visited our clinic recently for treatment. Since neither the doctor nor I had ever seen one before, we chatted about these greyhound-ish looking hounds with their owners. They dogs originally hail from the countries of Burkina Faso, Mali and Niger. 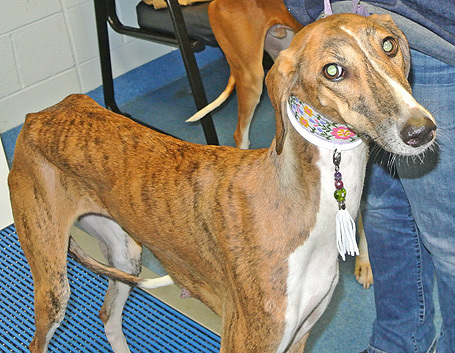 The two that we saw are AKC show dogs and, although their weights were in accordance with the standard for this breed, they are thin even by racing greyhound standards. The pair were a bit shy which the client said is typical of the breed. Overall, they were quite stunning!